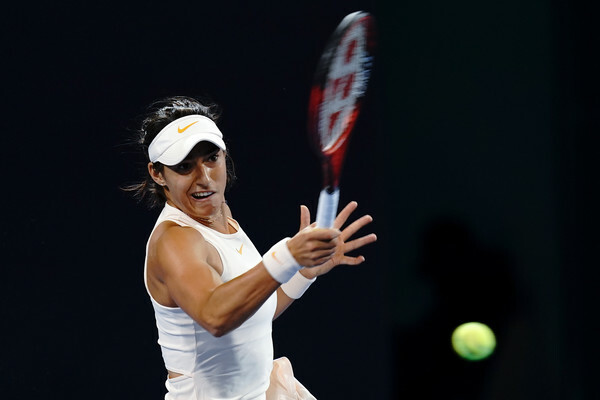 In a battle between the top two seeds in the final of the 2018 Tianjin Open, second seed Caroline Garcia narrowly edged past top seed Karolina Pliskova with a straightforward 7-6, 6-3 scoreline. Caroline Garcia’s successes in China continued in 2018 amidst her failure to defend both her Wuhan and Beijing titles earlier in the month. This time, the Frenchwoman strung together a series of excellent performances, strolling to the title at the Tianjin Open having defeated top seed and wildcard Karolina Pliskova in a high-quality final. Both players were serving exceptionally well, especially Garcia. 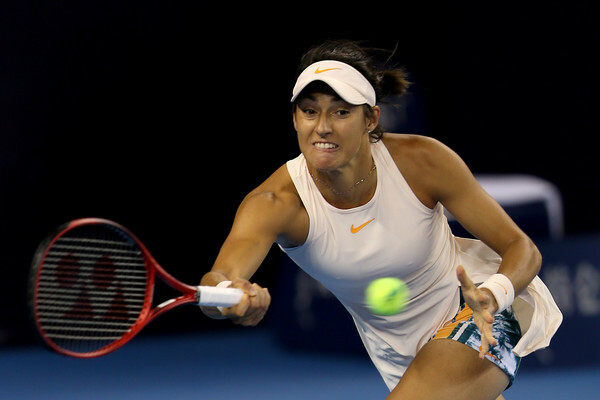 The world number 16, who is no longer in contention to qualify for the WTA Finals, played with no pressure and defended her serves well; saving five break points and only being broken once throughout the match. She saved a set point and recovered from a 1-5 deficit in the first set tiebreak to triumph, while Pliskova faded away in the second set although a late attempt to produce a comeback turned out to be futile. This was Pliskova’s golden opportunity to extend her lead over Kiki Bertens in the Porsche Race to Singapore leaderboard, but now in order to ensure her qualification for the WTA Finals, she has to mount a deep run at the Kremlin Cup next week otherwise she will have to hope that Bertens falls earlier than her. It was 12 consecutive service holds in the first set as both players were just too good on their serves, putting up a serving masterclass to send the first set into a tiebreak. Garcia got into a tricky opening service game but survived the slight scare eventually. The biggest chance to break serve came in the fifth game when Pliskova found herself in a 0-40 hole, allowing the Frenchwoman to hold triple break points. 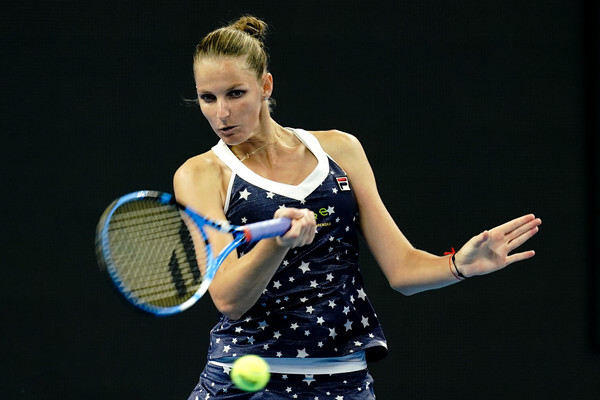 Nonetheless, Pliskova served her way out of trouble as her impressive serving saved her from the brink. She fired an ace before a series of first serves paved the way for her to narrowly protect her serve and keep the scoreboard level. Going into the tiebreak with little to separate both players, it was Pliskova who was the more composed player. She found her first serves, unlike her opponent who gifted the Czech with several vulnerable second serves to attack. Pliskova stormed to a commanding 5-1 lead within a blink of an eye and was just an inch away from claiming the first set. However, the nerves kicked in just when it mattered; several loose errors from the top seed saw Garcia returning level at 5-5 all of a sudden. Stopping the rout by prevailing in a thrilling rally, Pliskova earned her first set point but was unable to convert as she sent a backhand wide. Garcia kept her cool and a fantastic volley winner helped her earn a set point of her own, and the Frenchwoman finally scalped through the nervy tiebreak with some aggressive play, taking the first set 7-6 after an hour and two minutes of play. The second set seemed to be a one-way traffic with Garcia having all the momentum running within her. Closing out the first game of the second set with an ace down-the-tee, this applied even more pressure on Pliskova, who had to play catch-up. She completely lost the plot and produced a slew of errors which allowed Garcia to grab the first break of the match. Pliskova had the golden opportunity to break straight back and put herself back into contention but failed to convert her first break points of the match. She was being too passive on the important points, and Garcia surged towards yet another hold; consolidating the break for a commanding 3-0 lead as the victory looked all but hers. Within a flash, Garcia soon found herself 5-0 up and looking for a bagel victory as Pliskova seemed to have nothing left in the tank. She attempted to restore some glory after earning a consolation service hold while serving to stay in the match, although an improbable comeback was on the cards as Garcia felt the pressure while serving out the match. She was unable to close it out on her first try, and Pliskova soon found herself just within touching distance of Garcia, having rattled off three consecutive games. However, the Frenchwoman found her first serves just in time to seal the win, closing out the match with an ace.